Croydon is emerging as one of South London’s most attractive areas for property investors. It is a London suburb with its own personality, where you’ll find trams, parks and some of the best shopping outlets in the region. Businesses are flocking to Croydon too – the town is on the up! Croydon developed a reputation for 1960s concrete office buildings, which while derided for many years, are now celebrated, the National Trust describes Croydon calling them the “most important examples of the post-war ambition to build a new society”. Croydon is one of the best towns for commuters, with excellent transport to the City, as well as links served by Thameslink, Southern, London Overground and the Gatwick Express. Bus routes also cover the whole of South London. £5.4 million is being spent on replacing Croydon’s bus station, which is due for completion this month. House prices in Croydon are yet to catch up with the investment that has been put in, so it’s still a more affordable area of London, offering strong investment opportunities. Prices are rising fast, but Croydon is still the fifth cheapest London borough, and property investors are seeing returns of 13.8% – the best in London. Its town centre has undergone extensive rejuvenation and the new Westfield shopping centre is bringing in the big retail stores that tenants want on their doorsteps. The “Westfield Effect” is well-known in property investor circles too – where Westfield goes, investors tend to follow. The Ruskin Square £500 million mixed-use development has already started, and a £750 million education and cultural quarter is also being constructed. 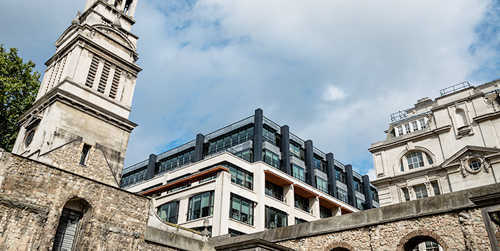 At One Lansdowne Road, plans include London’s highest restaurants along with new offices, leisure and apartments. Croydon is the biggest employer in the region, with 110,000 people working in 12,500 businesses, and has the fifth largest cluster of financial services. The emergence of Croydon Tech City is seeing Croydon as “the Silicon Valley of South London”. Croydon’s property is very popular among first time buyers, as many young families and professionals have been out-priced of neighbouring areas such as Bromley and Epsom. Over the last five years, Croydon has seen property prices increase by 40%, with some highly-sought apartments increasing by 18.3% in 2016/2017. Croydon is growing as an economic powerhouse and is providing attractive employment and leisure opportunities, which combined with fantastic transport links, makes it one of the most desirable towns in South London right now.